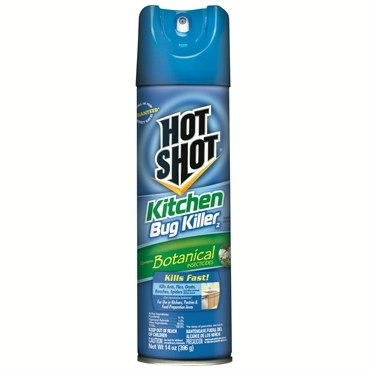 Kills bedbugs plus fleas, ticks, dust mites, and lice. 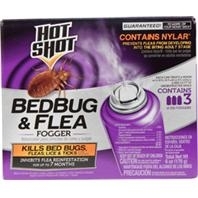 For use on mattresses, bed frames, and other areas where bedbugs can be found. Easy to use aerosol applicator. 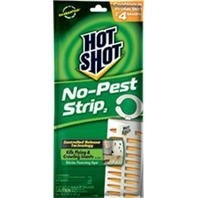 Kills bedbugs, fleas, spiders and ticks on contact. For use in homes, hotels, motels and other areas. Can be used on a variety of areas including mattresses, wall/ceiling joints, baseboards and behind or underneath furnishings. Deltamethrin spray. 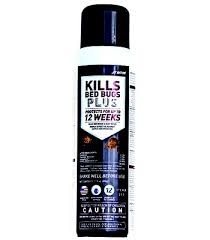 Residual Protection Keeps On Killing For Up To 12 Weeks. Water Base, Ready-To-Use. 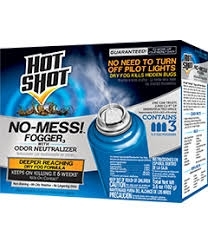 Use On Mattress And Box Springs, Carpets, Furniture And More To Kill Bed Bugs, Dust Mites, Ants And Cockroaches On Contact. 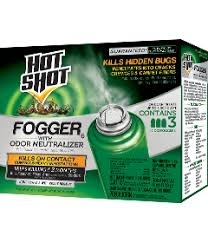 Also Kills Bed Bug Eggs. 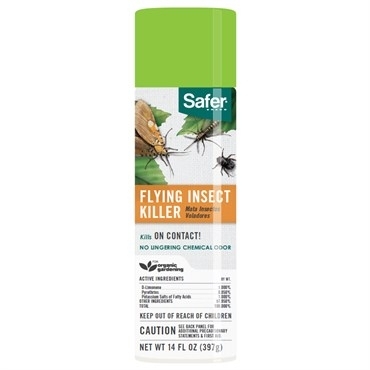 Contains The Active Ingredients: Permethrin, Pyrethrins And Piperonyl Butoxide. 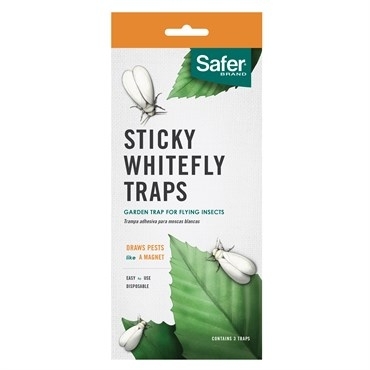 These Safer® Sticky Whitefly Traps are an inexpensive, disposable Aphid & Whitefly trap that uses special UV coloring to attract those pesky flying insects. The sticky surfaces keep them from flying off once they land. Adult moths use their smell to locate the ideal environment to lay their eggs – quiet, undisturbed areas with the necessary protein needed for the larva to grow. 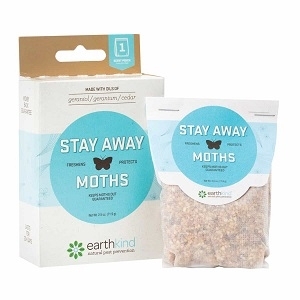 Stay Away® Moths pouches placed in these areas emit a scent pleasant to people, but offensive to moths. 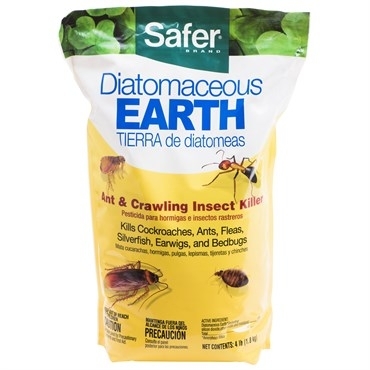 Safer® Brand Diatomaceous Earth (D.E.) 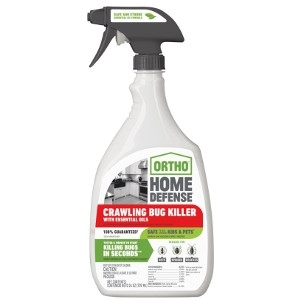 provides pest control against a variety of crawling insects. 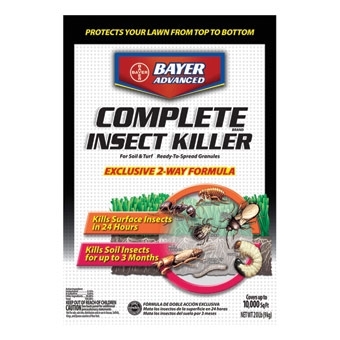 This ready-to-use powder-like insecticide is super easy to use and can be applied to places where insects spend most of their time. 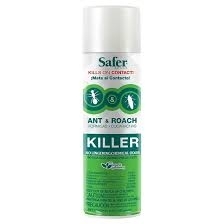 Once insects come in contact or ingest this dual-action powder, it immediately goes to work to completely kill them within 48 hours. This D.E. 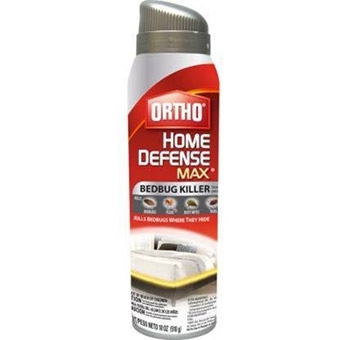 is non-staining and has no odor, so you can confidently apply within your home. D.E. 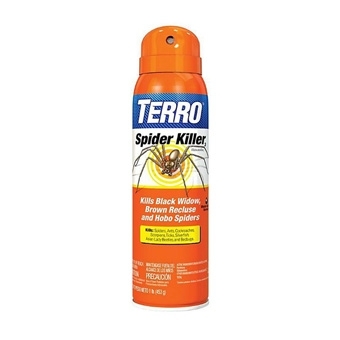 also works outdoors to eliminate pesky crawling insects as they try to sneak inside your home. Just keep in mind that it will need to be reapplied after watering or rain. Raid® Flying Insect Killer is specifically formulated to kill a variety of flying pests including: Flies, Mosquitoes, Wasps and Hornets. It can be used both inside and outside and leaves a pleasant Outdoor Fresh Scent behind. 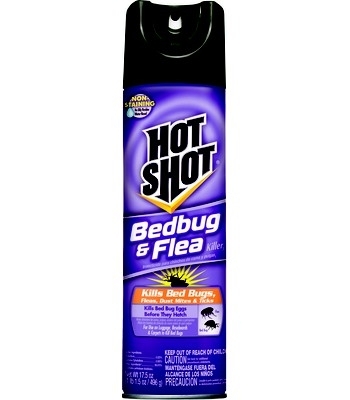 This Hot Shot® Bedbug & Flea Killer kills bugs on contact! Leaves no chemical residue or odor and dries fast--within 2 hours, meaning mattresses that are treated can be used that same night. 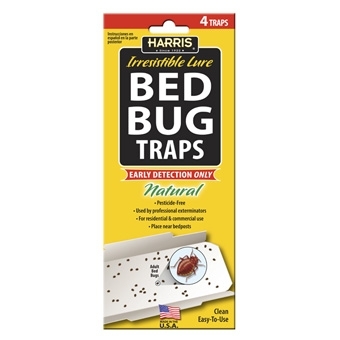 Treats mattresses, furniture, curtains, bedding and anywhere else you may see or find bedbugs. This Spray Valve allows you to spray at any angle, even upside down! Keep your indoor and outdoor living space clean by using Bayer Advanced Home Pest Control. It's ideal for small spaces and acts quickly to kill ants and roaches in seconds. 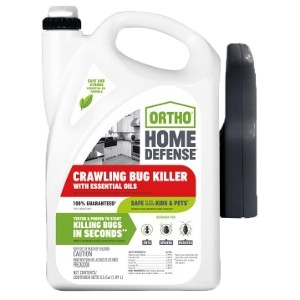 The low-odor, water-based formula in this ready to use 24 oz indoor and outdoor pest control builds a barrier to protect your home from bugs. 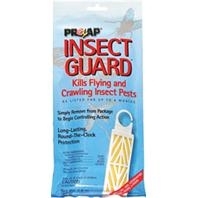 This No-Pest Strip kills both flying and crawling insects with an odorless vapor. It can be hung or stood up in attics, closets, garages, storage spaces, or any other non-living space.